Hello All! We’re excited to have another harvest season upon us AND getting ready for Finger Lakes Cider Week. 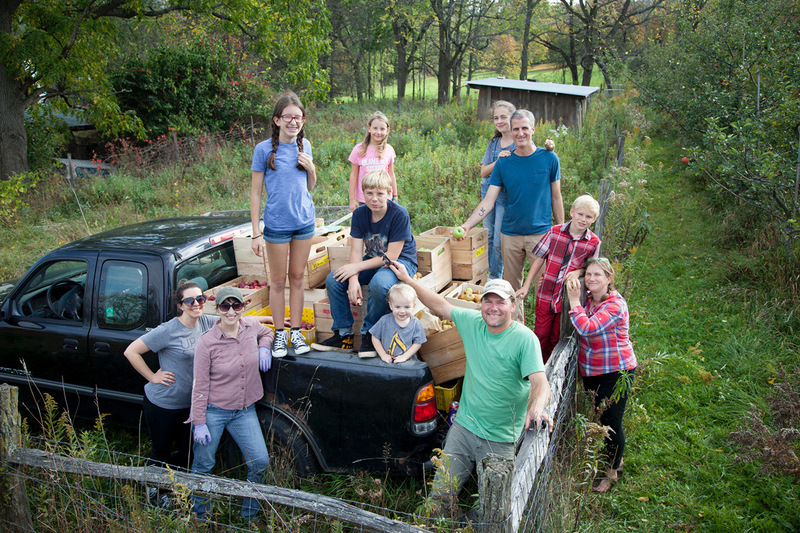 Join us in a family style seating while we all enjoy delicious food, delightful conversation, and dig into what it means to be orchard based cider…yay! $56 per person + tax and gratuity by reservation only. Seats are limited. We’re trying something brand new this year!! Join our cidermaker for release of a special Redbyrd Orchard Cider cask cider! October 4th Thursday 5-7pm with Redbyrd Cider Maker Eric Shatt. This limited cask cider will only be available at Liquid State Brewing Company, so come on down and help us celebrate and imbibe!!! Redbyrd’s Workman Dry is also available by the glass all the time behind the bar, just ask the fine bartenders at Liquid State. Liquid State Brewing is operated by two of our dear friends and we are so excited to have you all come on down to check out their incredible space, drink our cider, and get to drink the finest beer in the Finger Lakes. Please join us on a 45 minute walking tour of Redbyrd Orchard with cidermaker and orchard manager, Eric Shatt, to explore just what it takes to make great cider and help nurture a vibrant diverse ecosystem in the orchard. Come meet the sheep, the geese, the ducks, and the trees! Saturday October 6th, tours will begin promptly at 11am and 1pm. Redbyrd Orchard, 4491 Reynolds Rd., Trumansburg, NY Be prepared for mud or rain or who knows what kind of crazy weather. And check out our new online cider shop. for 10% off your next order. ship to 35 states…see if yours is on our list.